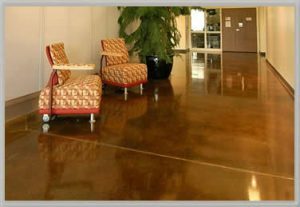 Stained and/or colored concrete floors are a very popular flooring option used for residential and commercial / industrial spaces. Whether your a homeowner or an architect, Metric Concrete Construction & Design Inc. has a wide selection of design options and colors for new or existing concrete. Today concrete has many versatile applications such as interior or exterior flooring, patios or even countertops. Metric Concrete Construction & Design Inc. is the premier installer for Stained or Colored Concrete.